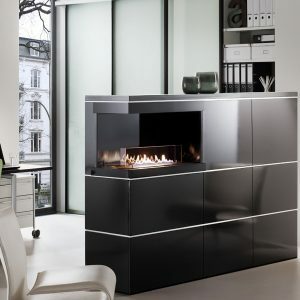 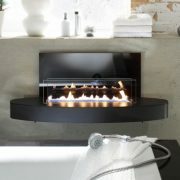 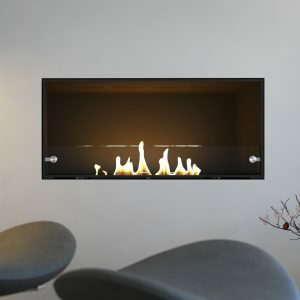 The ebios 1v built in fireplace is perfect if you’re looking for a stylish modern fireplace without any chimney or flue. 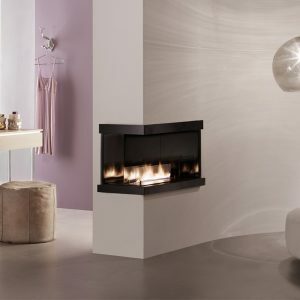 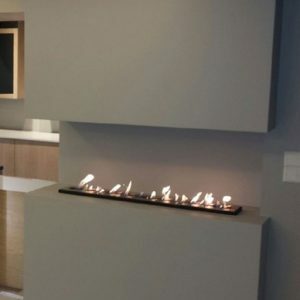 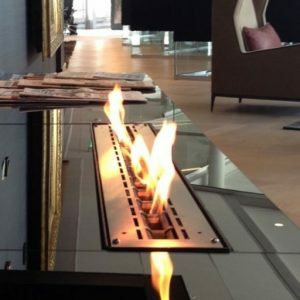 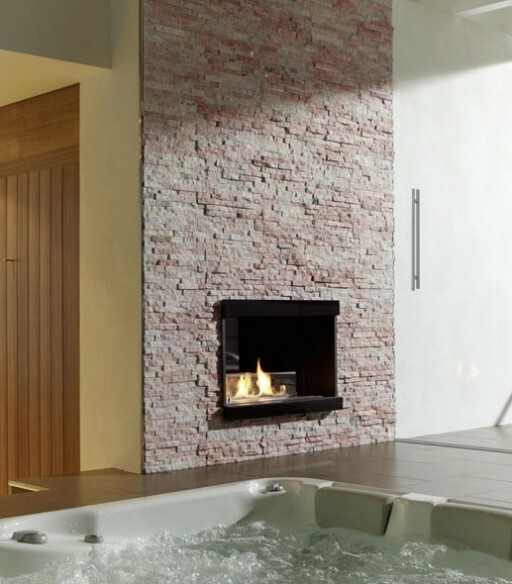 This fireplace can be installed in a wall construction made from brick, gas concrete or even fibre plasterboard. 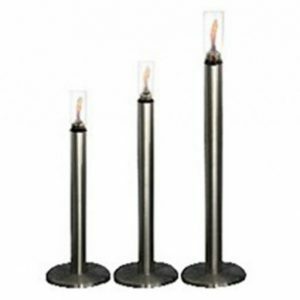 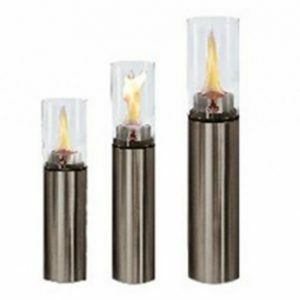 There are six different layouts and various sizes available which all offer the choice of either a manual wick or automatic burner.